Each year, TRG runs a survey on its influencers, which include media personality Deborah Hutton and food blogger Not Quite Nigella. But this year it brought in an external insights agency, The Insights Grill, to create a study that would examine the true impact of influencers. TRG MD Lorraine Murphy tells AdNews the report addresses industry concerns around influencers. 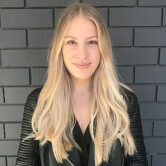 "The absence of Australian-centric independent research into influencers has been a constant pain point, not just for our team, but for marketers broadly," she says. The research identified two out of five of TRG's influencer fanbase have purchased a new product or service they’ve seen promoted by an influencer, which it says is double that of magazines, Instagram and TV. Murphy says TRG was not surprised by this figure, however what did come as a surprise was 5% of the general population from the research control group had also purchased something recommended by its influencers. "This is an incredible statistic when we consider [the influencers] as niche publishers versus huge online portals like Mamamia (3%), Kidspot (15) and BuzzFeed (1%). She says the data confirms what TRG has known anecdotally - that influencers are having a direct impact on purchase decision of their audience. She believes this research could lead to brands investing more in the medium. "A number of brands have asked for the full research piece to share with their broader teams as it's providing the data they've been looking for to invest more budget in campaigns with us," Murphy says. Murphy refers to the “halo effect” of the TRG audience, which shows people are “significantly” more likely to have greater trust in brands and products than the average general population. Influencer audiences are heavy consumers of “traditional social media” and have lower reliance on new channels, including Buzzfeed and Snapchat – meaning new advertising campaigns could be missing the audience completely. More influencer agencies are working towards transparancy around influencer's impact, with Social Soup recently partnering with Quantium to prove the effectiveness of the advertising medium. 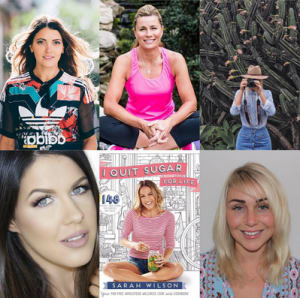 The Remarkables recently brought on six new influencers, including Deborah Hutton and the I Quit Sugar team. In a world where people are challenging the information portrayed by traditional media, more and more brands are turning to influencers - as a result of growing levels of consumer trust is being built in this area. According to an independent study conducted by The Remarkables Group (TRG), which zones in on what is actually happening in its stable, the influencer connections agency found the total audience of its influencers are likely to be aged 30-49 years old, be a home owner, have children and earn up to $150,000 a year. To give you an idea of which brands have been sniffing around the much-talked about marketing strategy, TRG works with advertisers including Big W, Nivea, Origin Energy, Woolworths, Toyota, L’Oreal, Priceline and more. TRG works to identify influencers in the category and helps brands build campaigns to capture social audiences. This new study looked at 2,600 of its influencers' audiences, as well as 1200 of the general population.